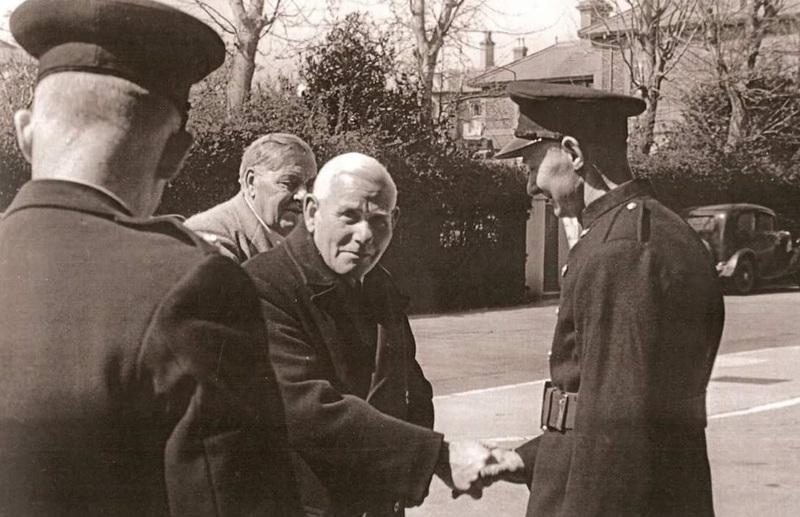 Chief Officer Wilfred Harry Brown of Sandown Fire Brigade passed away on 11 April 1955 aged 80. 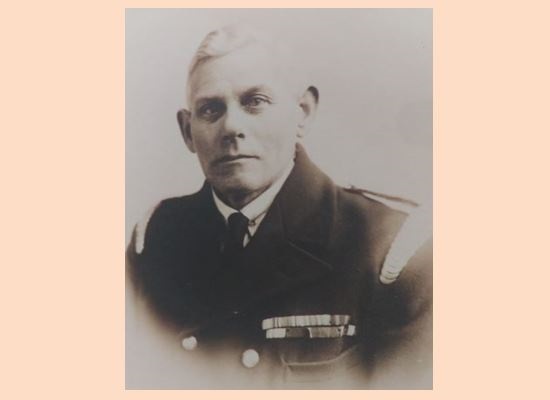 The story of Wilfred's life would probably make an interesting biography in its own right but in brief he joined Sandown's brigade in 1893 and served right through until the days of the National Fire Service, retiring in 1943. His brigade service across that half-century was broken only by service to his nation. In 1900 he departed for South Africa as the sole member of the Southern District of the National Fire Brigades Union to serve at the Imperial Yeomanry Hospital at Deelfontein during the Second Boer War. Collectively he and his NFBU colleagues were worthy of a mention in despatches for their tireless work both in the hospital and on the battlefield tending to wounded soldiers under fire. 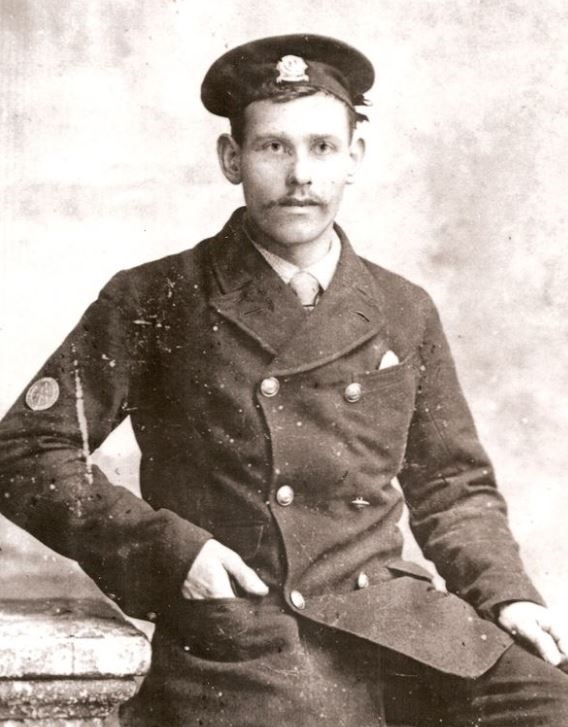 Wilfred when a young fireman of Sandown, circa 1896. He spent almost the entirety of the First World War again in a life-saving role as a Sergeant with the British Red Cross and wrote home how appalled he was by the horrific injuries sustained by so many young men. Towards the end of the war he was again mentioned in despatches, this time in his own right for selfless action above and beyond the call of duty. His diaries of 1940 and 1941, when he was still Sandown's Chief Officer before absorption of the brigade into the National Fire Service, evidence that he was tireless in his work both as brigade chief, which by implication made him officer in charge of the newly recruited masses of the Sandown detachment of the Auxiliary Fire Service and training other groups such as the Women's Voluntary Service, the Street Fire party's and Fire Watchers in how to deal with incendiary bombs and organise patrols. Across that two year period his diaries evidence just a handful of days without a duty of some sort for which he was responsible. On the Easter Monday 11 April 1955 he took up his regular position to watch a key league fixture between Sandown FC and De Havilland's at Fairway Park. Shortly before half-time he collapsed and passed away on the spot despite the efforts of many who rushed to his aid. At his funeral, massively attended, one speaker remarked; He was a great Christian character, quite unspoiled by success and was humble in the true sense of that word! Rest in peace Chief Officer Brown.